The U.S. Food and Drug Administration today approved Erelzi, (etanercept-szzs) for multiple inflammatory diseases. Erelzi is a biosimilar to Enbrel (etanercept), which was originally licensed in 1998. US Food and Drug Administration. 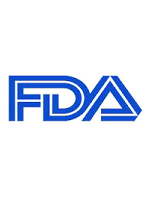 FDA approves Erelzi, a biosimilar to Enbrel. Updated August 30, 2016.